Vellum is a great way to add a little class to a project. It is a translucent product resembling parchment and it can add dimension and visual interest to paper crafts. Since it is less porous than paper, it will take ink longer to dry so heat embossing vellum is definitely an option. See how I created this beautiful card. 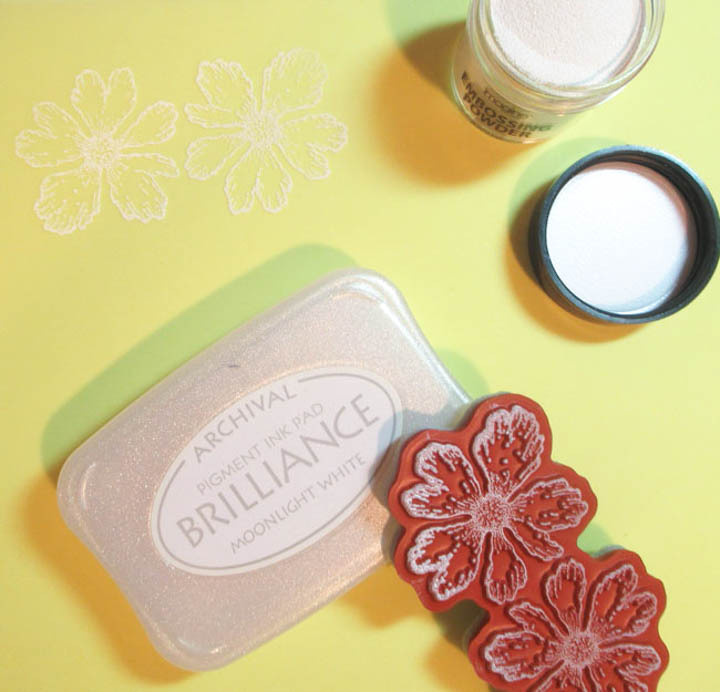 Ink floral stamps with Brilliance Moonlight White Ink. Stamp onto the yellow vellum. Pour Imagine Embossing Powder in White on images and heat set. Ink leaves with Brilliance in Moonlight White Ink. Stamp on green Vellum. 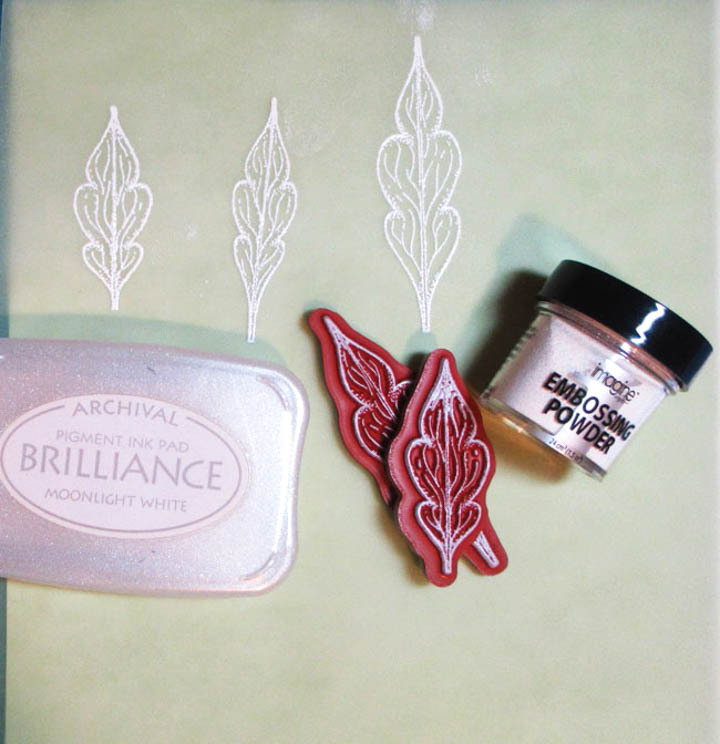 Pour Embossing Powder in White on images and heat set. While vellum embosses beautifully, be careful not to overheat because it can buckle or wrinkle under the heat. Try heat setting vellum from underneath for perfect results every time. Die cut flower images. 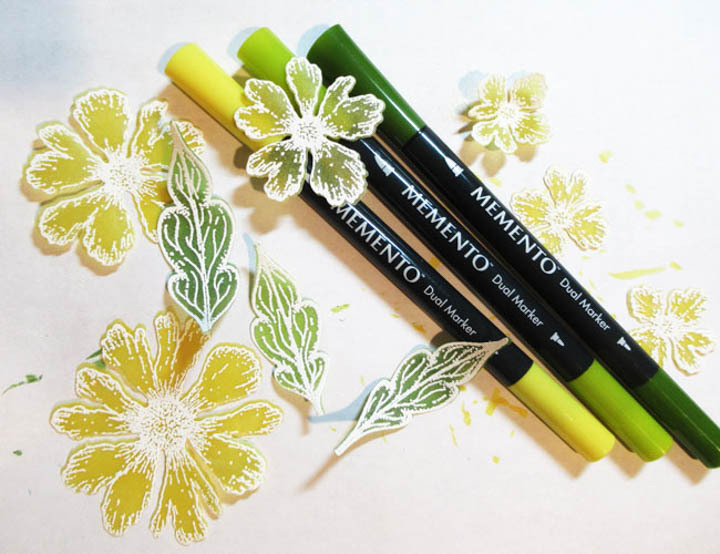 Using Memento Markers in Cottage Ivy, Pear Tart, and Dandelion to add color to the stamped images. To avoid coloring over the embossing powder color the reverse side of the images. 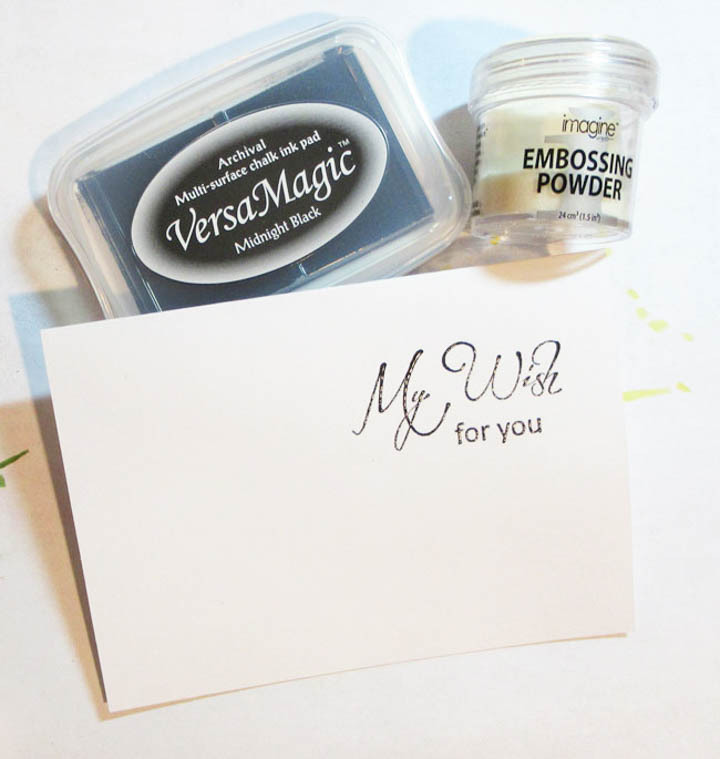 Stamp the “My Wish for You” or similar sentiment in the upper corner of card with VersaMagic in Midnight Black. Emboss the sentiment with Imagine Embossing Powder in Clear and heat set. Assemble card by placing the daisy layers together with a brad. 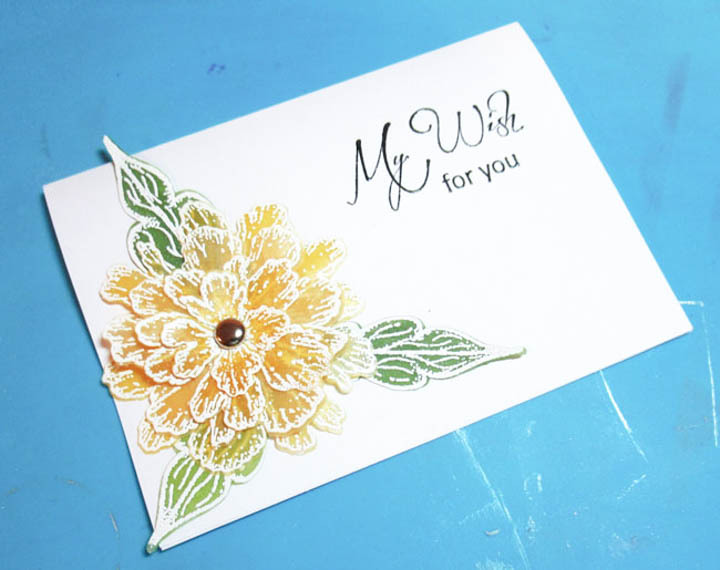 Glue the leaves to the card and place the daisy on top. This entry was posted in 2018 ARTIST IN RESIDENCE, Advanced, Cards, DIFFICULTY LEVEL, DIY, Embossing, INSPIRATION, PROJECTS, Steph Ackerman, Techniques and tagged Brilliance, cardmaking, Craft Mat, Embossing, Embossing Powder, Memento Dual Tip Markers, vellum, VersaMagic. Bookmark the permalink. Low heat gun works for me! I love the look of embossing on vellum. Beautiful card Steph! Where do you find nice colored vellum without patterns on it? Thanks. Mary, some Michaels stores carry vellum. You can also find it on Amazon – search for translucent vellum.